Night sky photography is really one of the joys of photography. Stars are everywhere – whether you live in the Northern or Southern Hemisphere or in the Tropics, the night sky never fails to amaze anyone who is willing to spend some time out in the night, exploring the sky. You need to be willing to stay outside when most people will be in bed, but you get a stunning view of the night sky as a reward. There are some fundamental things you will need to take care of before you start your night sky photography journey. When photographing the night sky what you need is a location free from light pollution and clear skies. Of course, you also need the gear required to shoot the images as well. Most photographers, especially beginners, shy away from night sky photography or even attempting to photograph at night because they assume that it is a very difficult process and only experienced photographers are capable of doing it. Expertise in night photography helps you to set things up easily, locate areas to shoot and get the shot you want quicker, but you only get to that level through experimenting, practice, and experience. Now, when you think of the night sky, what is it that comes to your mind? The stars? The Milky Way Galaxy? The Moon? The Planets? Whatever it is that comes to your mind, capturing a photo of the Milky Way or Star trails or an Aurora is every night sky photographer’s dream. There are certain times of the year that makes this possible, but during the other seasons, you can just photograph the night sky and capture the stars in there, or create images with star trails or depending on where you live, you can shoot the aurora. Check out the Light Pollution Map and the Dark Sky Finder to find dark skies or locations nearer to where you live. You can just photograph the Stars, the Milky Way, Moon, etc. when it is high up in the sky, but adding a subject of interest or a foreground element will take your photograph up one level. Look for interesting elements like mountains, trees, lakes (lets you capture reflections), buildings, ruins, etc, to add interest to the image and bear in mind, the farther you get away from the city, the lower the light pollution. Foregrounds or any elements that you add in the frame most of the time get recorded as a silhouette. If you want the details to show up in the image, you will have to paint them with light using a flashlight or something similar or shoot HDR. The advise out there for night sky photography is, to shoot in complete darkness on a new moon night or on a day when the moon is not in the sky and then add required light to light up the scene using flashlights, speed lights, headlamps, small LEDs, etc. depending on what you want to show to the viewer. It takes a few attempts to get the effect that you are looking for and keep an eye on moon phases to decide on a completely dark night. Alternatively, you can get enough foreground details, using the moonlight to light up the foreground. Having the full moon can overexpose the foreground and make the stars look faint, but during the quarter moon, the light will be just enough to get the foreground correctly illuminated. It is best to have the moon at the back of the frame in this situation. 4. What If You Want To Shoot The Moon? If you want to have the moon in the frame in your night sky image with enough foreground details, you will need to go down the route of compositing while post-processing. Take an image exposing for the foreground and another one exposing for the moon and combine them while post-processing. Make sure you use the same focal length for both the images. If you are planning on photographing the night sky, a basic understanding of the night sky is required if you are looking to photograph the Milky Way, the Moon, Circular Star Trails or include Planets in the frame – in other words, basic astronomy (I am not talking about astro imaging here). Astronomy is very interesting, fun and easy and it doesn't hurt to know something extra! Basic understanding of the directions like North, South, East, West, NE, SW, etc. Keeping an eye on the sunrise or moonrise directions will give you a rough idea although the direction changes slightly over the year. Rotation and revolution of the earth – these contribute to the understanding of star trails and the Milky Way season. Moon Phases + Moonrise and Moonset times – always know what the moon phase is by keeping an eye on it through knowledge or by using an app. This contributes to deciding on when to shoot for stars, Milky Way (as moonlight can make them look faint) and when to shoot for the moon and night landscapes when you need the moon in the sky to illuminate the landscape. Locating the North Star (for Northern Hemisphere) and the Southern Cross or Sigma Octantis (for Southern Hemisphere) – this helps with recording circular star trails. If you are a beginner and find it difficult to locate these stars in the night sky, use an app like the Sky Guide app or Star Walk 2 to locate The Polaris for the North Celestial Pole and the Sigma Octantis for the South Celestial Pole. It is very handy and easy. These apps for night sky photography can accurately show you the location of the stars at any given time or tell you at what time the stars rise and set. Polaris is always above the horizon. The Celestial Poles – the poles on the celestial sphere are the celestial poles and any stars near or around the celestial poles (for example the Polaris or the North Star as it is commonly called and the Southern Cross) seems to be moving in circles in the sky. Locating the Planets – If you wish to photograph events like oppositions and conjunctions, etc. you need to know where the planets are located in the night sky, as sometimes they are mistaken for very bright stars by beginners. If you are a beginner to night sky photography, do not refrain from taking images of the stars or the night sky just because you have very little knowledge about the stars and the night sky. Instead, make use of apps that will help you locate the Stars, Milky Way and other celestial bodies that you wish to include in the frame you are planning to photograph. An online program called Stellarium helps you locate the stars that are in the field of view in the location where you are, shows you moon phases and the light pollution levels of the location you are in as well. These apps below can accurately show you the location of the Milky Way, Stars, Planets, etc. at any time or tell you at what time these deep sky objects rise and set. The Sky Guide app for iOS gives an accurate location of the objects in the sky. If you are looking for a free app for the iOS, the Sky View Lite is a good enough app to locate the night sky objects. The Sky View is free for Android. For Android users looking for a good app Star Walk 2 is the one to go for, alerts you of astronomical events and it is free. If you are planning to shoot only the stars or star trails, you are good to go ahead and do it all year round as long as the skies are clear, the moon is not in the sky and you are away from the city lights with least light pollutions. If you are looking to photograph the elusive Milky Way, then you need to make sure that the Milky Way is up in the night sky, as, only during certain times of the year and depending on where you live, you will be able to see the Milky Way in the night sky. The months between April and October are the times when the Milky Way is above the horizon in the night sky and it is during the summer seasons of July and August, that the Milky Way appears as a bright band across the night sky. During other times, it is close to or below the horizon at night. When getting into night sky photography, look for days when there is a forecast for clear skies or occasional clouds are fine too. But what if there was something totally unpredictable? You are out there and there are storm clouds? Make the best use of the storm clouds at night as they can help create dramatic images, but safety first. Do not forget to protect yourself and gear against any bad weather. Here Is The Nitty-Gritty Of Night Sky Photography. What Gear Will I Need to Photograph the Night Sky? You will need a camera that can shoot on manual mode, a very sturdy tripod to stabilize the camera during the long exposure and to keep the camera stable during windy conditions, preferably a wide angle lens and a remote or cable release to avoid any blur due to camera shake. Have fully charged batteries and spares depending on how long you will be shooting and what you will be shooting, and some spare formatted fresh memory cards to get you through the whole shoot. If you have a DSLR you will be able to shoot in manual mode. It is better to have a camera that responds well in low light and high iso. Remember to have the camera on a tripod during long exposures, turn off image stabilization when on a tripod, use the mirror lockup feature to avoid any shake during shutter release and use a cable release to release the shutter. Focus on a distant star manually, set the iso to anything between 640 and 3200 depending on your camera’s performance. At the widest aperture, use the 500 rule or 600 rule to calculate the shutter speed and take a test shot. Depending on how the stars are recorded, increase or decrease the exposure by increasing or decreasing the iso. It is best to stay within iso 3200 above which noise may be quite evident. Using a mirrorless camera is very similar to using a DSLR in terms of settings, except the fact that you do not have a mirror and hence no need to use the mirror lockup feature. What Are the Best Lenses for Night Sky Photography? The best lenses are wide angle lenses with the widest aperture possible. It is recommended to have at least lenses with aperture f/2.8, but if you have a f/1.8 or f/1.4 lens, go for it as you can shoot at a lower ISO. In terms of focal length, it is best to have a lens between 14mm to 24mm so that you get some decent foreground elements and the sky in the frame. When shooting the aurora or the milky way, it is best to go as wide as you can so you have the whole of the aurora show or the Milky Way in the frame. With the smartphone cameras getting better each day, most of the photographers are now tempted to try techniques to get better images with their smartphones. If you are one of them, then there are a few good long exposure apps out there that can help you with photographing the night sky with your iPhone or other phone cameras. Bear in mind that you will need to mount your phone on a tripod and use a remote release or the timer delay feature to release the shutter so that you avoid all blur due to camera shake. Manually set the camera to the widest aperture, iso around 400 to 800 and take a 5 to 10 seconds exposure. Depending on what you get, make adjustments to iso and shutter speed to get the brightest stars recorded. These are some of the apps for smartphones for night sky photography including the aurora. These apps let you have manual control over the camera settings. If you are a beginner, do not refrain from taking night sky images just because you have very little knowledge about the stars, the galaxies or the Aurora, but, make use of the tools below that will help you locate the stars, Milky Way, other celestial bodies and aurora that you wish to include in the frame you are planning to photograph. There are also resources to help you find dark locations free from light pollution. Stellarium – an online program that helps you locate the stars that are in the field of view in the location where you are, shows you moon phases and the light pollution of the location as well. Sky Guide app for iOS – gives an accurate location of the Milky Way, stars, planets and alerts you of astronomical events. Sky View Lite – a free app for the iOS, that is a good enough app to locate the Milky Way, stars and planets. The Sky View is free for Android. Star Walk 2 – For Android users looking for a good app, this is the one to go for and it is free. It lets you see the position of the milky way, moon, stars and planets for future dates and times which I think is a good feature of the app. Dark Sky website – helps to find a dark location near you. Here are some night sky photography tutorials that will help you with taking images of the night sky. Before looking for the Milky Way in the night sky, you need to make sure that you are in a location where the light pollution is very low and that you have clear skies with no moon as any of these can make the details washed out and make it impossible to see and photograph the Milky Way. March till September is the best time to photograph the Milky Way as it is up in the night sky. If you are a star gazer and have experience finding constellations and asterisms in the night sky, then, look for the Teapot asterism in the constellation Sagittarius. It is easy to spot in a dark sky during the Milky Way season. When you look in that direction, you’re looking towards the center of the Milky Way galaxy. 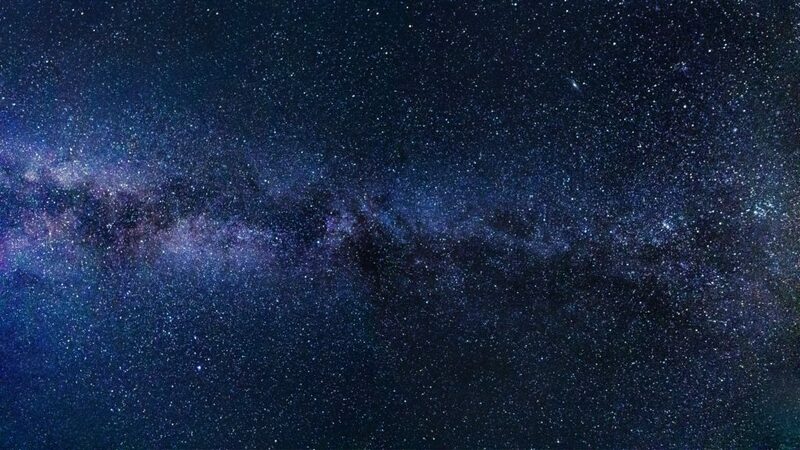 If you are a beginner with stars, the easiest way to locate the Milky Way is using an app like The Sky Guide app for iOS, Sky View Lite a free app for the iOS or Star Walk 2 for Android users, as most of us have a smartphone in hand these days. These apps can accurately show you the location of the Milky Way at any time or tell you at what time the Milky Way rises. Locate the milky way in the sky and mount your camera on a tripod facing the milky way and framing a composition that you like. Manually focus on a distant star. Set your lens to the widest aperture and depending on the performance of your camera and aperture value, set the iso between 640 and 3200. Calculate the shutter speed based on the 500 rule to avoid star trails. Take a test shot and see how the image turns out. If the image is too bright, lower the iso and if the image is too dark, increase the iso. What Are the Best Settings for Photographing the Milky Way? When photographing the night sky, that is the stars or the Milky Way, it is best to use a camera that can perform well in low light. Set the white balance to tungsten or daylight to get the correct sky colors, but you can change this to your preference while post-processing as you will be shooting raw. Start with the lowest iso possible, perhaps between 640 and 1600. Depending on what you get, if you need you can increase the iso up to 3200, above which the image quality can start to deteriorate. Put your lens on manual focus and focus on a very bright star in the sky. Adjust the focus manually by zooming in on live view till you get a point sharp image. Do not change focus or change to autofocus in between shots so that you get the stars sharp in the image. Take a test shot to make sure the focus on the stars is sharp. Depending on the focal length that you are shooting with, you will need to calculate the shutter speed based on the 500 rule, taking the crop factor in to account. Do a series of test shots to get the composition and settings right. We have a very detailed article on how to photograph the milky way in 12 steps. Worth having a look! Since the moon is the brightest object in the night sky, the light meter in your camera can get confused and hence, using spot metering mode is wise in this case. Once you have your camera on a tripod, turn off image stabilization. Use a cable release to release the shutter and mirror lock up if you are using a DSLR. Set the aperture between f/5.6 and f/11. Have shutter speed at least 1/125s or faster as you do not want to record blur due to the movement of the moon – the more you zoom in, the more evident the movement. Start with the lowest iso possible, maybe 100 or 200 and go up from there if the exposure isn’t right. Manually focus on the moon. Zoom in and focus using live-view. Take a shot and depending on what you get, you can increase the iso a bit. We have a very detailed article on how to photograph the moon. Check it out! Use the settings that you would generally use for night sky photography to photograph the stars. To create star trails you will need to take multiple exposure with an interval of 1 second or less and stack the images while post processing. Make sure that you do not turn on low light noise reduction as it will increase the time between each exposure. You need a minimum of 50 exposures to get some star trails, but having 100 to 200 exposures will get you dramatically long star trails. Make sure that you do not move the tripod or change frames between the shots. Make use of the camera’s inbuilt intervalometer if your camera model has one or use an external one. If you are looking for circular star trails, if you are in the Northern Hemisphere locate the Polaris and point the camera towards that and if you are in the Southern Hemisphere, locate the Southern Cross (use apps mentioned before for this) and point your camera towards that. These will be the location of the north and south celestial poles around which the stars seem to rotate. Here is an ultimate guide on how to photograph star trails. To photograph the aurora, you will need to be in a place inside the auroral oval where aurora will be visible and you also need to make sure that you have clear skies and no light pollution. You will need a camera that can shoot manual, a tripod, a wide angle lens with a wide aperture of about f/2.8 and cable release to release the shutter. Use the forecast to make sure the aurora is visible from where you live – you need really dark skies to view and photograph this spectacular phenomenon. The geomagnetic activity (kp index) depending on where you live lets you decide if you will be able to see the aurora or not. There are many apps that will let you track the aurora for your location. My Aurora Forecast & Alerts for iOS and Android: gives you the current Kp index with a list of best locations to view the aurora. Aurora Alerts – Northern Lights Forecast for iOS and Android: notifies the user of possible auroral activities in their location and when the Kp index reaches a certain value. Northern Lights Alerts for iOS: alerts you of auroral activities around your area. Aurora Forecast for iOS: lets you plan your aurora watching experience as it alerts you of the auroral forecast, auroral predictions, lets you track real-time solar activity and auroral nowcast. Aurora Notifier for Android: makes use of the Google Cloud Messaging service to inform you of times when it is possible to see the aurora. AuroraCast for iOS and Android: features live Kp and magnetic field info and gives an idea of aurora forecast for 3 to 27 days. Aurorasaurus for iOS and Android: gives a real-time Google map with weather and aurora predictions for where the aurora will be visible and also alerts you when the aurora is visible in your location. When you are at the location to photograph the aurora, mount the camera on a tripod and turn off image stabilisation. Manually focus on a distant star and lock the focus. Choose the widest aperture and use iso between 100 to 800 and shutter speed between 20 to 30 seconds depending on the available light from the aurora as the intensity of light quickly varies. Depending on what you get, you will need to change iso and exposure time. If the aurora activity is very high, you may have to decrease the exposure time to 0.5 to 5 seconds to freeze movement and capture the details as the movement of aurora will be fast. Crank up the iso if required and using a faster wide angle lens is always recommended. We have a very detailed article with information on everything you need to capture stunning images of the Aurora. What Are the Best Exposure Rules for Night Sky Photography? The rule most commonly used for night sky images is the 500 rule. If you are not satisfied with the exposure and want to increase the exposure time, you can use the 600 rule. This is a rule used to calculate shutter speed for various focal lengths in order to get the exposure right without any star trails for night sky photography. Depending on the focal length that you are shooting with, you will need to choose the shutter speed using the 500 rule and taking the crop factor in to account if you are not using a full frame camera. If you are shooting at 18mm, then for a full frame camera, shutter speed or exposure time should be less than or equal to 500 ÷ focal length = 500 ÷ 18 = 27.7 = 28 seconds. For a crop sensor camera, you need to take the crop factor into account. So for a Nikon crop sensor camera, crop factor will be 1.5. Hence, shutter speed should be less than or equal to 500 ÷ (18 x 1.5) = 500 ÷ 27 = 18.5 = 19 seconds. This is very similar to the 500 rule above but, instead of dividing 500 by the focal length you need to divide 600 by focal length. Use this rule if the exposure using 500 rule doesn’t yield good images for you. For example, if you are shooting at a focal length of 18mm, then exposure time should be less than or equal to 600 ÷ 18 = 33.3 = 33 seconds. Moreover, you may see small trails in the image when enlarged, so this rule could be used for photographs you will be using on the web and not for printing. As advised before, it is best to shoot night sky images from a location where there is the least amount of light pollution, but there are times when it is difficult to get to a location where there are dark skies. There are a two things you can do to photograph the night sky from areas of light pollution. Expose to the right (ETTR) – You shoot at higher iso values like iso 3200 or 6400 and expose the image to the right in a way that you do not blow out the details in the image. This way the histogram is shifted all the way to the right. During post production, decrease the exposure and increase the contrast to get the details back. This method yields less noise in the image. Another way is to use a light pollution filter as these filters block certain wavelengths of light from reaching the camera sensor. This can help remove the glow caused by light pollution from being recorded in your photograph and have the stars or milky way more detailed in the frame. Please bear in mind, these results are not going to be great like the images you take from dark sites with no light pollution. To include people in night sky images, you can choose to use one of the methods below. Composite two shots – one exposed for the people and another for the sky and combine them while post processing. To include foreground in night sky images, you can either light paint the foreground or composite two images. While light painting the foreground, during the exposure for the night sky, you will have to paint the foreground with the right intensity of light for a short period to get the foreground elements correctly exposed. If there is a quarter moon or if you are photographing the aurora, the ambient light should be enough to illuminate the foreground. For Milky Way shots, make sure the moon is not up in the sky as it can make the Milky Way look faint. If the foreground is at a distance, light painting may not be possible. In this case, you will have to take two images of the same frame. One exposed for the sky and another exposed for the foreground and then stack them using a post processing application. Note: When exposing for the foreground, depending on where you are (how dark the location is) , you may need to have exposure times 3 to 6 times or longer than the exposure time for the sky. For example, if you exposed 20 seconds for the sky, you will have to expose, 1 to 2 minutes or more for the foreground. It is best to do test shots and adjust exposure accordingly. For stars and Milky Way: The straight out of camera image is going to look a bit dark. You need to use a post-processing app like Adobe Lightroom to adjust basic exposure and contrast and work with the highlights, shadows, blacks and whites sliders to get the details out of the image. Adjust white balance if necessary and add a tad of clarity if required. You may need to work on noise reduction if it is very evident in the image. For Star Trails: StarStax is a very easy to use app that can be used to stack your images in a matter of few seconds. Just drag and drop the edited images into StarStax, select the Blend Mode to “Lighten” and click the “Start Processing” button. Your star trail image will be created in a few seconds. Alternatively, you can use Adobe Photoshop to stack the edited images. Import the images into photoshop as layers and combine them into one file by choosing “Blending Mode” as “Lighten.” This way you get the star trails created in a matter of few minutes. For Aurora: Adjust the white balance to your taste because most of the aurora images may have more green color cast. Straighten and crop the image if necessary. As you would make adjustments to any images, use the basic adjustments panel to adjust exposure, contrast, blacks, whites, shadows, clarity, and vibrance – it all depends on your personal preference. If there is haziness, use the dehaze slider in limits to pump up the contrast a bit. Always try and include a foreground to create compelling images of the night sky – examples could be lakes, mountains, desert sand dunes, old barns, ruins, etc. If you are shooting time-lapse or star trails, do not forget to turn off high iso noise reduction and long exposure noise reduction as these can consume a huge amount of time to process the image in between shots. 1. What is the 500 Rule? The 500 rule is to calculate exposure time for night sky photography so that you expose for the right amount of time without creating star trails. You simple divide 500 by the focal length and if using a crop sensor camera, you divide 500 by the focal length times crop factor. It is that simple. When it comes to photographing the night sky with an iphone, the settings are almost the same as compared to what you would do with a camera. Mount your iPhone on a tripod, and use one of the long exposure apps mentioned earlier in this article, that are used to take night images. Adjust your settings manually – widest aperture, iso depending on your iPhone performance, preferrably between 200 and 1600, exposure time between 5 to 30 seconds. Depending on what you get, you can change the iso values and exposure time to decrease or increase exposure. Remember to use a remote trigger or use the delay timer facility to avoid blur in the image due to camera shake while shutter release. Once you are in a location with clear skies and least light pollution, mount your camera on a tripod and put it on manual mode. Put your lens on manual focus and focus on a bright star in the sky by zooming in on live-view. Do not change focus after this. Set the lens to its widest aperture and depending on your camera’s performance to low light, set the iso between 640 and 3200. Using the 500 or 600 rule, calculate the exposure time. Take a test shot. Depending on what you get, change iso values and take another shot. If over exposed, decrease the iso and if underexposed, increase the iso. Remember to use the cable release or timer delay to release the shutter. If using a DSLR, use the mirror lockup feature. Set aperture to the widest, iso between 640 and 3200 depending on the sensitivity of your camera’s sensor and calculate shutter speed using the 500 or 600 rule. You will need a wide angle lens typically something between 14 to 24mm range so that you get the whole scene in the frame including some foreground interest. It is also best to have a fast lens with an aperture value of at least f/2.8, but if you have only your kit lens, that should not stop you from photographing the Milky way. Shoot at the widest aperture and focal length possible. Put your lens on manual focus and focus on a bright star in the sky or a distant light by zooming in on live view – the focus should be point sharp. Take a test shot to see if you get sharp stars and if not, check your focus again. If you are looking for foreground elements to be in focus, just like you would with landscape images, focus one third into the scene. If it is difficult to focus in the dark, shine a light in that area using a flashlight and manually focus in that region. This should help to have the entire scene in focus. Make sure that you shoot raw all the time, as you have the flexibility to work with all the information on your file. So the basic edits would be to adjust the white balance if you did not get it right in your camera, make adjustments to exposure, contrast, highlights, shadows, black and whites to get enough details out of your image. You can add a bit of clarity to make the stars pop, but use this sparingly as overdoing it can cause weird artefacts and outlines in your image. Apply noise reduction if there is evident noise in the image and if there is any hazy look, that can be reduced using the dehaze tool. As discussed previously in this article, if you want to include people in your night sky images, you can do that in three ways. Use a speedlight anytime during the exposure to illuminate your subjects, but the light needs to be softened using a softbox so that the exposure matches well with the background. Take two exposures – one exposed for the sky and another exposed for the people and combine them while post processing. 9. Can mirrorless cameras take good night sky photos? Yes, just like the performance of a DSLR, the mirrorless cameras come with a high quality sensor and amazing glass that helps with making stunning images of the night sky. Thank you for reading this article on How To Master Night Sky Photography. We love photographing all the amazing celestial bodies in the night sky – it is challenging, but the images you can get are…well…out of this world. If you are out this season photographing the night sky, please feel free to share them with us here in the General Photo Chit Chat Forum. The forums are a great place to grow your interest in photography, as well as get some of your photography related questions answered by avid experts and amateurs alike. We would love to see what you create! If you want to take amazing pictures of the stars, with nothing more than a basic DSLR camera, then you should check out Milky Way Mastery by Expert Photography.